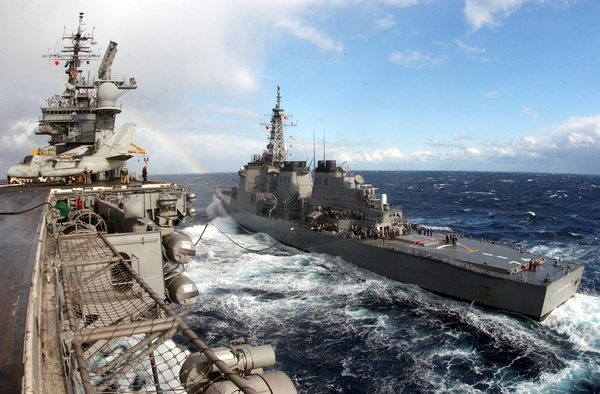 Japan Maritime Self Defense Force (jmsdf) Ship, Jds Chokai (ddf 176), Steams Along Side Kitty Hawk For A Replenishment At Sea (ras). Uss Gary (ffg 51) Underway. F/a-18 Hornet Aircraft Paked On Board Uss Kitty Hawk.